Veszprém, the town of queens and a home for festivals, lies where the Bakony Hills and the Balaton Uplands meet. There are a lot of roads leading here: the road of historical and cultural heritage, the road of active recreation, the road of culinary joys and the roads coming from Lake Balaton and the Bakony Hills will also take you here. Besides the historical heritage, the symbols of the present Veszprém include the Viaduct built in 1938, the Kittemberger Kálmán Botanical and Zoological Garden opened in 1958 and the Veszprém University of Chemical Engineering (the present University of Pannonia) founded in 1949, due to which, the town became an education centre and a university town. Veszprém has been a town of county rank since 1990. Its intimate, small-town atmosphere, hilly terrain, narrow alleys and ancient buildings make it an ideal venue and provide an excellent setting for the colourful programmes and eventful festivals of the town. The Laczkó Dezső Museum tells stories about Veszprém County to the world and stories about the world to the people of Veszprém County. You can explore the rustic cultures characteristic of the region at an outdoor ethnographic exhibition in the Bakony House. 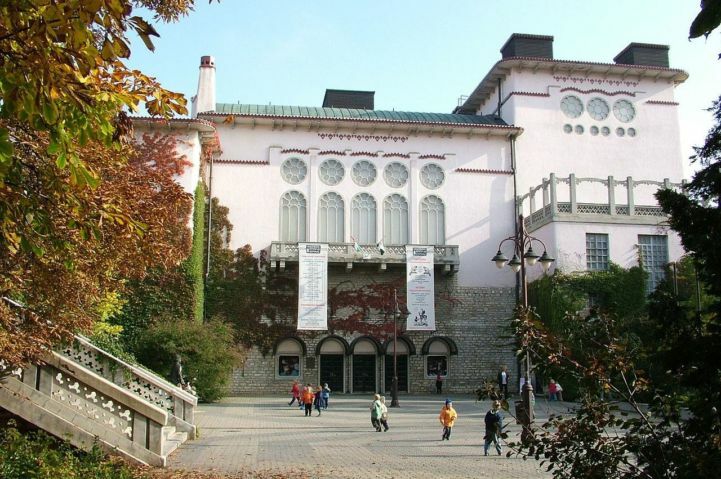 The Csikász Gallery hosts temporary exhibitions featuring the works of art of contemporary artists and creators. The Dubniczay-house accommodates the Károly László Collection. The Modern Art Gallery – Vass László Collection features the masterpieces of the best Hungarian artists and the greatest representatives of European abstraction. You can take a rest while touring the hiking and bicycle path called Cloisters and Gardens at the foot of the Veszprém Castle: if you take a walk in the Veszprém Valley, you can get immersed in the beauty of the romantic scenery which shows us a different face every season. You can fly back in time and witness the thousand-year history of the town at the various stations of the pathway. A number of programmes are organised in the Jesuit church throughout the whole year. You can enjoy stage performances with specially brewed beers in your hand in the Betekints Valley. You can have a picnic near the small pond and get reinvigorated at the various catering establishments. Children will love the three thematic playgrounds. The Veszprém Zoo is a non-Budapest based zoo with a great history and long standing traditions in Hungary and one of the pearls and famous sights of the Bakony-Balaton Region. You can see traditional zoo animals here, including felidae originating from exotic habitats, Kamchatka brown bears, prosimians from Madagascar, ring-tailed coatis and the adorable red panda. Besides interesting animals, the Zoo offers other attractions as well, including animal feeding shows, animal petting sessions and other programmes. Children will have a great time in the Kids’ Jungle Play Area and they can attend summer camps and workshops organised for them in the Böbe’s Monkey School. Archaeological explorations (excavation of Avar, Frankish and Slavonic graves) prove that it was an inhabited place as early as before the Hungarian conquest. According to Anonymus, the conquering Hungarians arrived at the foot of the Castle Hill in Veszprém and occupied the castle in the summer of 900. There are several theories about the origins of the name of the town: Besprim in the old Slavonic languages meant unconquerable; while others think that it was a personal name meaning stubborn, obstinate. Half a century after the Hungarian conquest, the town was taken over by the Árpád dynasty. The first bishopric in Hungary was founded here (in 997). The construction of St. Michael’s Cathedral is associated with the name of King St. Stephen and his wife, Queen Gizella and, in all likelihood, they were the ones who founded the Veszprém Valley Greek Nunnery, where the Hungarian coronation cloak was sewn. This was the time when Veszprém was given the title of ‘the town of queens’, as a result, Hungarian queens became the patrons of the cathedral of Veszprém. Their throne stood in the sanctuary and their crown was kept in the treasury of the cathedral. It was the bishop of Veszprém who had the right to crown the queen. The golden age of the medieval Veszprém lasted until the end of the 13th century, when the town was burnt to ashes by the troops of Péter Csák. The town had its second golden age during the reign of King Matthias. This was the time when Veszprém was made a cultural centre by the highly cultured Renaissance hierarch, Bishop Albert Vetési, then by hierarch János Vitéz jr. The castle was captured by the Turkish troops in 1552. After they had been hounded out, the imperial army destroyed the fortresses of the town. The historic townscape was created mainly in the middle of the 18th century. Famous fairs and well-known handicraft products contributed to the reputation of the town.